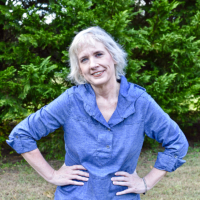 Even though I want to buy my granddaughter all.the.things for Christmas, I’ve been a good girl and kept myself under restraint. In other words, I have resisted the urge to buy Christmas gifts since October. I don’t like to shop too early because I find that I spend more money if I do. A little here and a little there adds up to a whole lot if I shop before Halloween. However, this year, when the calendar turned to the end of November, I let out a sigh of relief and headed to my favorite Big Lots store. First I spent an hour in the toy section. I wish I could say I am exaggerating but I’m not. 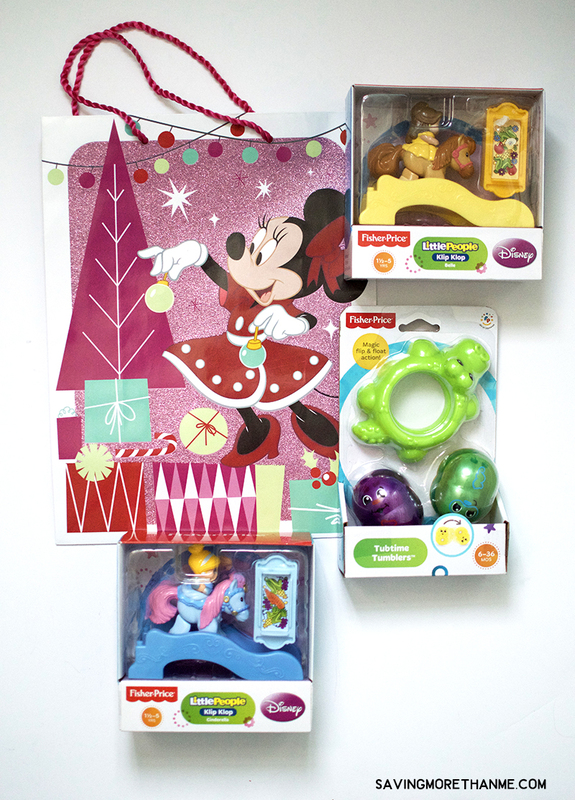 They had several of my favorite name brands for kids so I had to look at each item and make sure that what I was selecting was age appropriate. 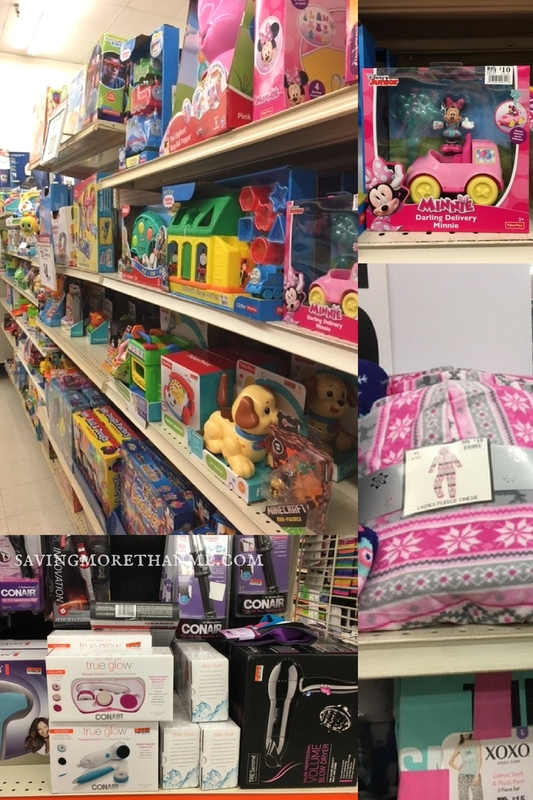 Once I was done picking out Christmas gifts for my granddaughter, I headed to the beauty and gift aisles to find something for my daughter. She’s pretty easy to shop for so I was done in under 30 minutes. 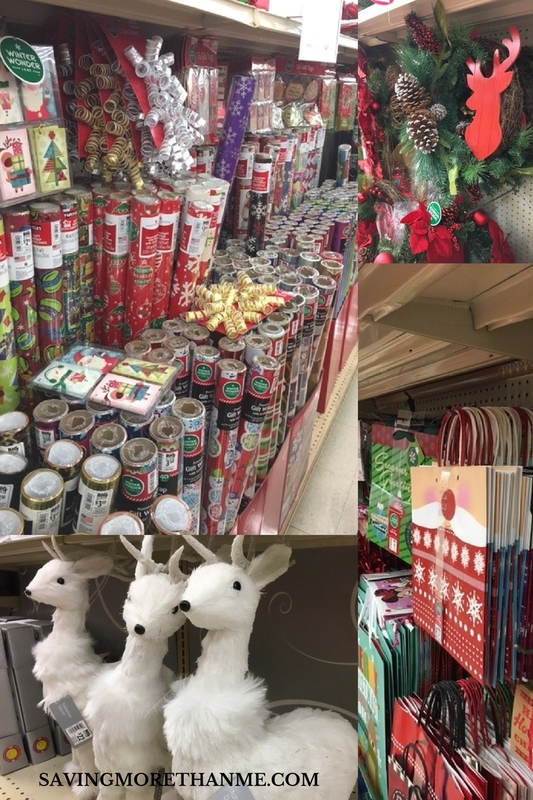 Next, I headed to the seasonal aisle to get gift wrap, bows, tape, tissue paper, etc., Big Lots has a fabulous assortment of Christmas decor and their variety of gift wrap is a-m-a-z-i-n-g. If you need gift wrap and supplies, Big Lots is your place. 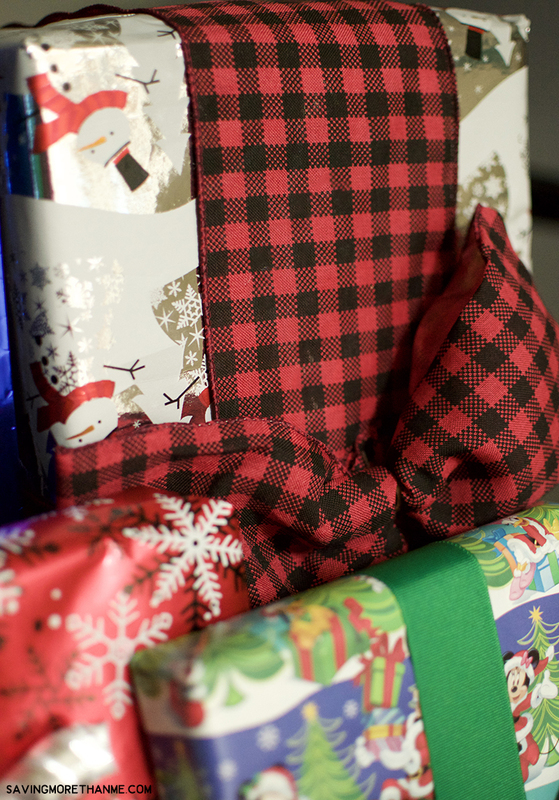 I am in love with this plaid gift wrap I picked out. Check out this pretty buffalo check ribbon I found in the gift wrap aisle. I am in love with it! I wrapped it around one of the gifts and tied it in a big bow. I love how it makes the present look oh-so-fancy. 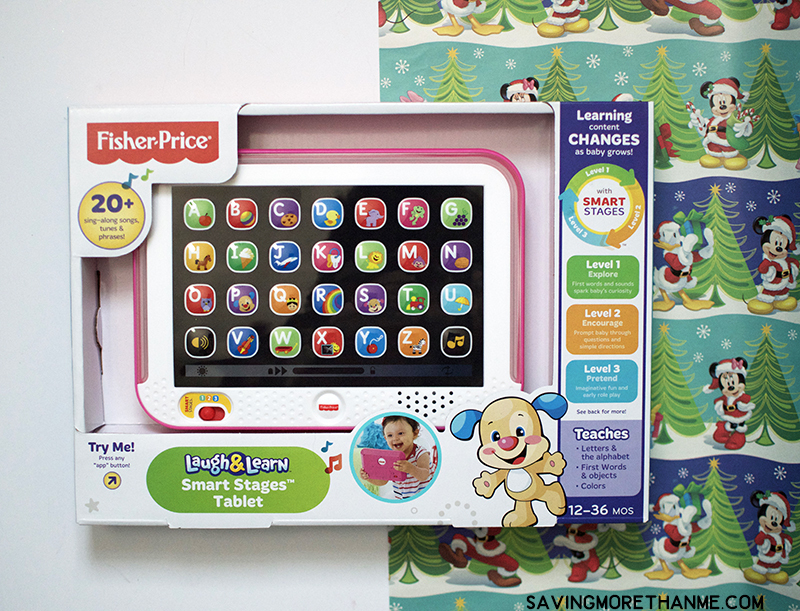 My daughter and granddaughter are going to have so much fun on Christmas morning. I can’t wait! 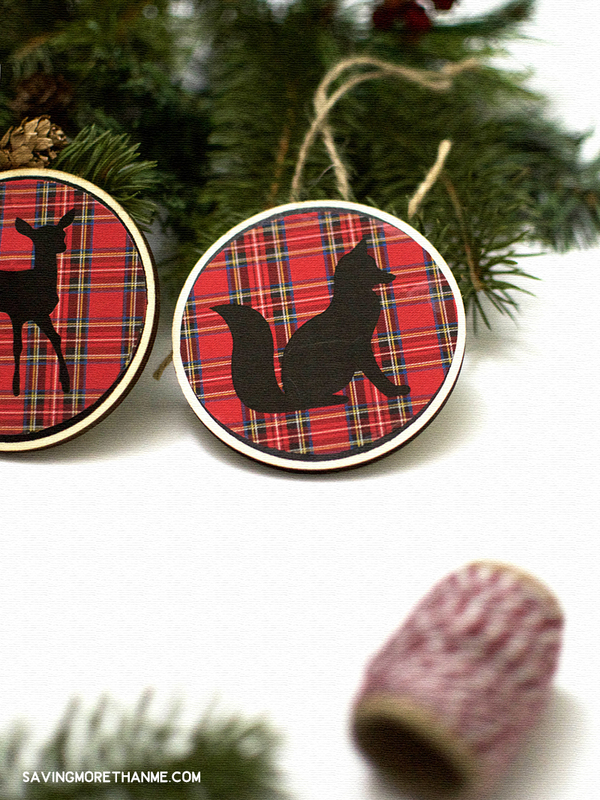 That plaid wrapping paper and ribbon apparently inspired me because after I was done wrapping all.the.gifts, I decided to make a few Woodland + Plaid Christmas Ornaments. Print out the sheet of woodland animals. Note: Laser printing is best but using an inkjet is fine. Cut out the ornament circles. 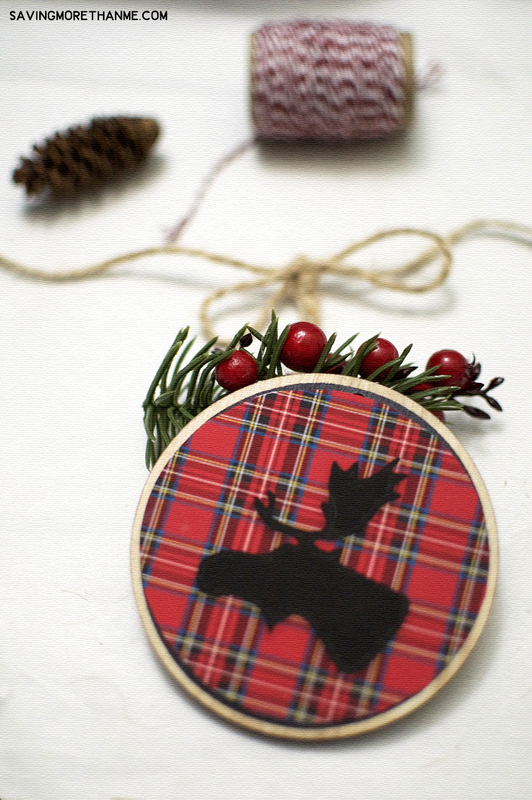 Remove the twine hangers from the chalkboard and wood ornaments. 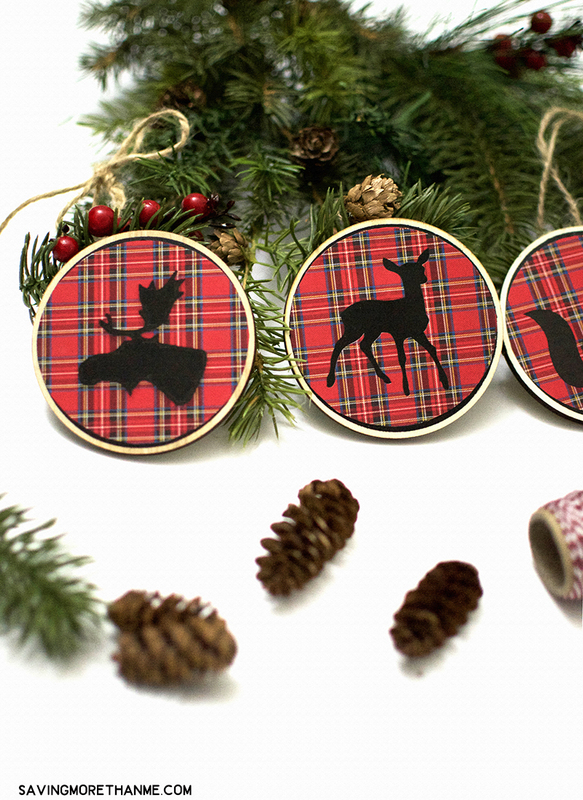 Using a sponge brush, apply a thin coat of Mod Podge to the back of the ornament circle and apply it to the chalkboard and wood ornament. Smooth out any wrinkles. 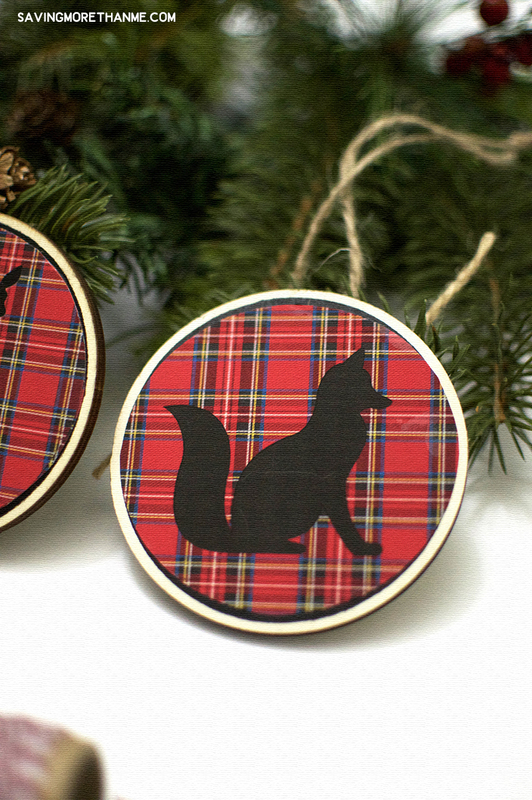 If your wood ornaments have holes at the top, it’s preferable that the printable circle covers it. Use your wire cutters and trim a sprig of greenery. 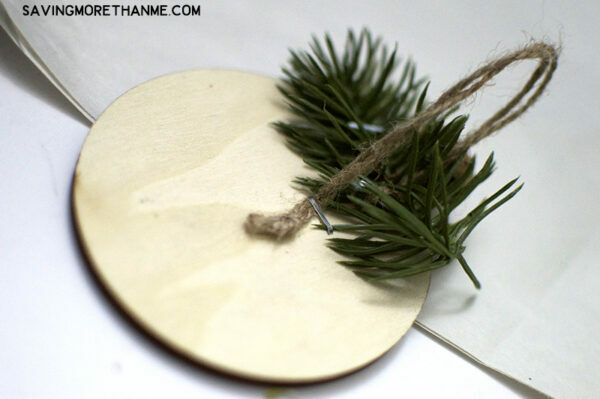 Wrap the twine hanger around the greenery and attach to the top back with hot glue or a staple gun. I love simple projects like this. Aren’t they pretty? 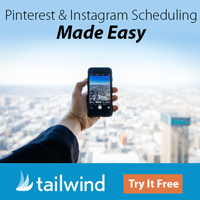 I’d be so grateful if you pinned this project to one of your Pinterest boards. 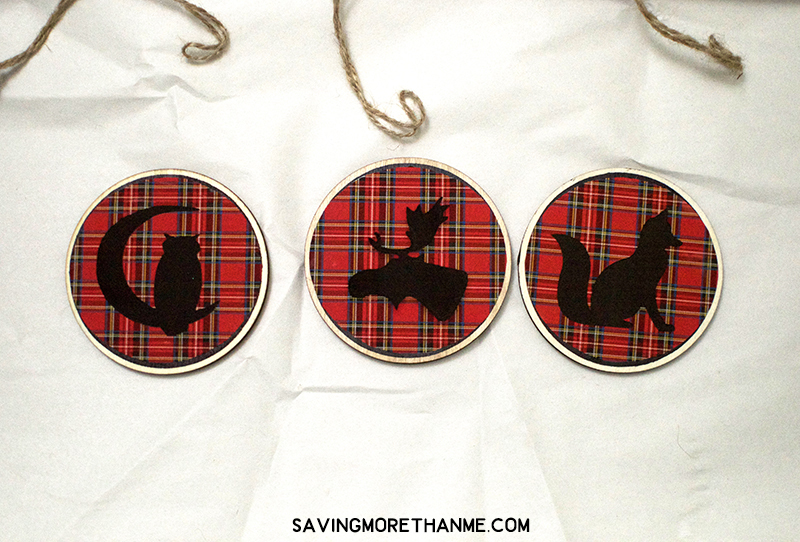 I’m going to add these ornaments to the Christmas gifts I wrapped for my daughter and granddaughter. Talk about cute keepsakes! 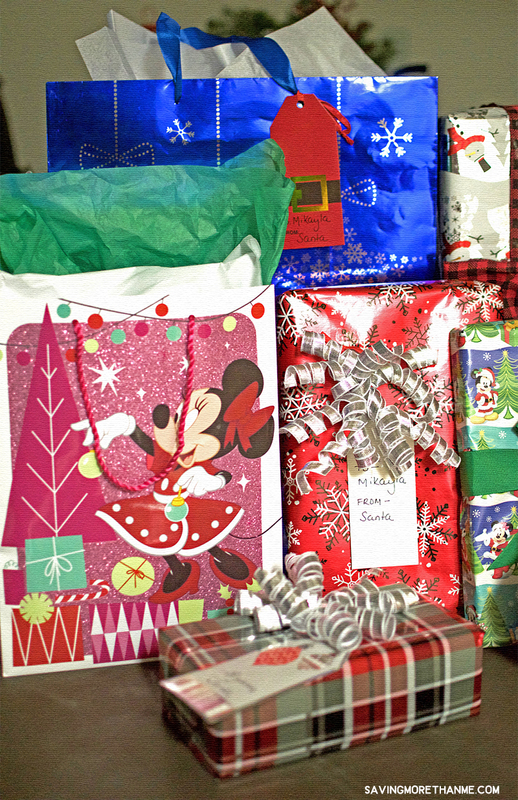 Curious minds want to know, have you started your holiday shopping yet? 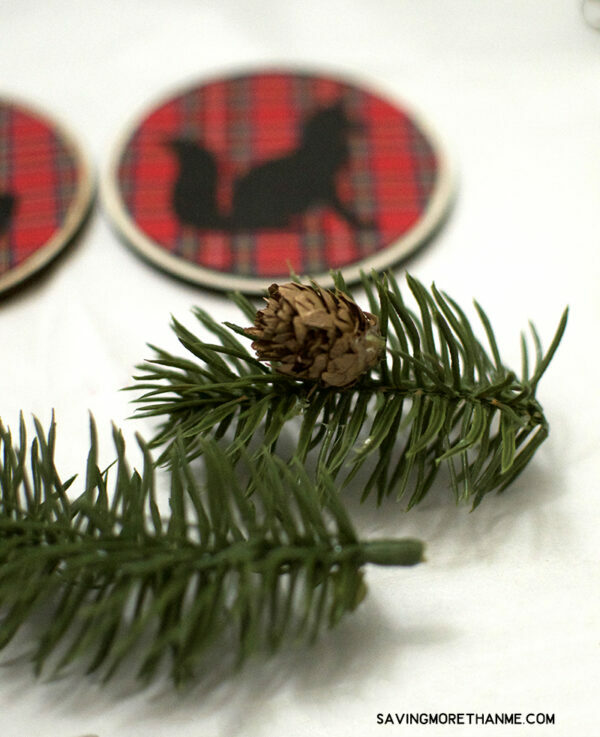 I am finally getting these made for this Christmas. I had planned on them last year & bought all the pieces needed, but just didn’t have the time. Now I do. Thanks so much. I LOVE Big Lots! I could spend thousands of dollars there each time I go. I get everything from furniture to body wash there. Those are so cute!! 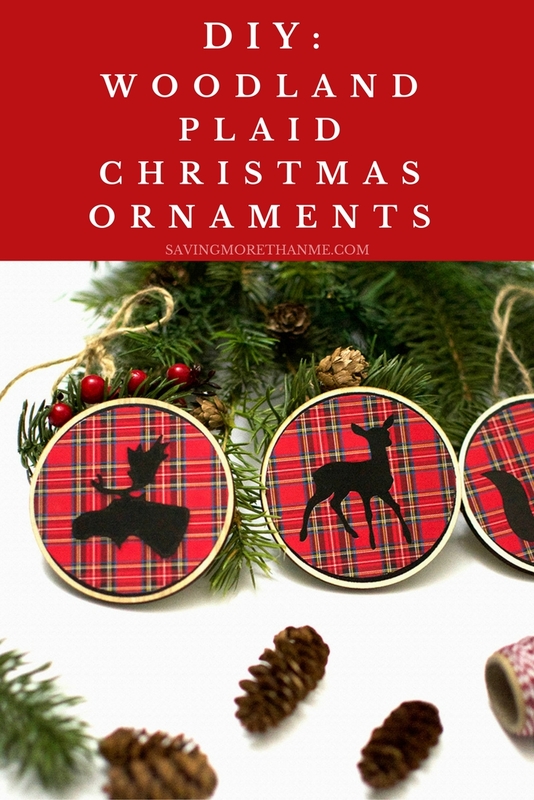 I would totally enjoy making these ornaments, I love the fabric you chose too! I love the classic look to these. I can’t believe how close it is to Christmas!